Two years ago, WikiLeaks released secret cables that disclosed information about ETs in our solar system. Documents released by Wikileaks, offered hints about aliens and extraterrestrial presence. 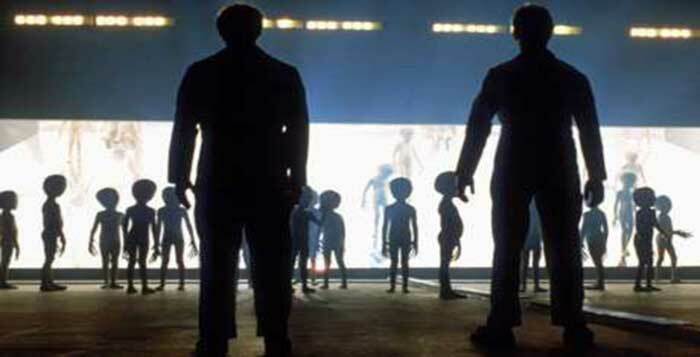 Recently, NASA, accused of hiding alien life, accepted that we are not alone in the universe and if all goes as planned, we will meet aliens in a decade or two. This cable comes from the year 2006, from the American Embassy in Vilnius, Lithuania. The statement was made by Albinas Januska, who at the time, was appointed adviser to the Lithuanian Prime Minister. This cable comes from Japan, in year 2007, it shows how the Chief Cabinet Secretary Nobutaka Machimura, was unhappy with the government’s official view, rejecting the existence of UFOs. This cable comes from the year 2010, when the Tajik Mayor, said there is life on other planets and that peace and unity on Earth is necessary. Chairman of the upper house of Parliament Mahmadsaid Ubaidulloev noted that “war is very dangerous”, and said we know there is life on other planets, but we must make peace here first. In a platitude-ridden meeting, Dushanbe Mayor Mahmadsaid Ubaidulloev asserted the existence of life on other planets, caveating this by noting that we should focus on solving our problems on Earth.